New research by Direct Line has shown that bad drivers spend an average of £560 more on fuel a year because of excessive braking and acceleration. 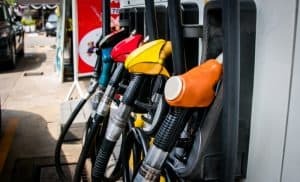 The analysis found that motorists with a smooth driving style achieved far more mileage in between each visit to a filling station. This cuts the average filling station visits from 20 to 12 a year, reducing the annual fuel bill by 40%. The study analysed more than 319,000 journeys by 2,000 drivers. According to Licence Check, fleet managers can not only reduce the cost of fuel by encouraging smoother driving, but can also achieve savings by reducing the number of accidents that can result from erratic driving. Richard Brown, managing director of Licence Check, said: “It is a well-known fact that bad driving styles can have a huge influence on fuel consumption, as well as increase the likelihood of a motor accident. “While it tends to be assumed that insurance will cover the costs of any accident, there are always uninsured losses, some of which may be recovered subsequently, such as excess charges, but others such as the diminution in value of a repaired vehicle may never be recovered. “Bad driving habits will also accelerate wear and tear on the vehicle, affecting running costs and lowering residual values. “This new research shows that fleet managers can immediately and significantly reduce their annual fuel costs, if driving styles are improved. Brown said an effective method of addressing bad driver behaviour is to focus on an individual driver’s attitude and aptitude to identify areas of particular risk. He added: “Having identified potential areas of weakness, it then becomes possible to determine the type and level of intervention, or training that is required to begin to address these. “There is ample evidence to suggest that any expenses associated with running such a programme are far outweighed by savings from accident reduction.